Dear husband and I arrived in Tacoma about 23 years ago today. I remember that we had a not very good Thanksgiving dinner on the road from our prior home in Texas, so I might be off a couple of days, but not much. One of the first things we saw as we drove into downtown, through a very different from today Tacoma, was this cheerful, colorful sculpture titled Locomotive Monument. The artist, Douglas Charles Granum, created the piece in 1988 to reflect Tacoma’s railroad heritage. 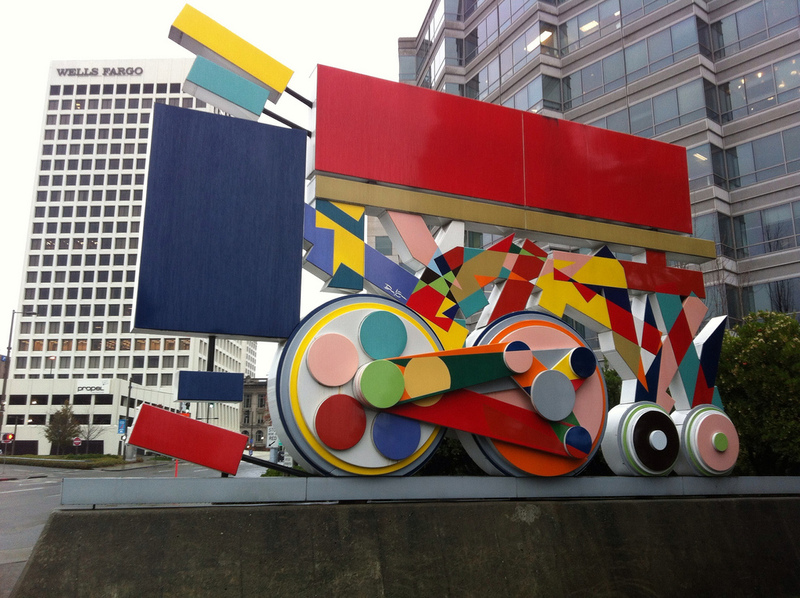 This entry was posted in Art -- there is art here!, Tacoma, WA State - Pierce County and tagged 1988, abstract, cheerful, Douglas Charles Granum, Locomotive, monument, primary, sculpture on November 23, 2012 by admin.